Come join the fun and scream amongst the dead whilst drinking vampire blood & eating zombie fingers in the onsite cafe/bar. Golden Valley Caravan Park is the place to be spooked this Halloween on the haunted ghost train around the woodland full of horrible histories; where the fright factor is cranked high with the freaky fancy dress party in the daunting disco. Leading onto fearful fun with our after dark spooktacular firework display. 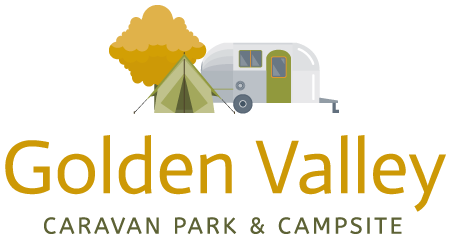 It is a 2 night minimum for caravans and tents arriving Friday 25th October. Please note – for any other pitch extras or information see our price page. Competition for the spookiest caravan / motorhome. Halloween themed fancy dress competition. Gates open to the public from 6pm.